MARK SAMUEL is a Thought Leader and CEO of IMPAQ, an award-winning international consulting firm that guides organizations in achieving measurable breakthrough results within six months through a unique system that links Execution, Culture and Deliverables. 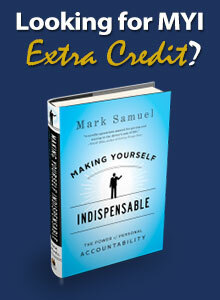 Mark is the best selling author of the acclaimed Creating the Accountable Organization and the award-winning book, Making Yourself Indispensable: the Power of Personal Accountability. Mark is considered a “practical visionary” by top executives in many Fortune 500 companies. CNBC, Bloomberg and Fortune Magazine have recognized him as a top authority on how companies can end blame in the ranks and create a place where people want to work because they can produce results. Mark’s unique systems breakdown functional silos and creates cross-functional accountability to successfully implement global changes that increase profitability, build trust and increase efficiency. As a top “systems thinker” Mark developed a unique approach for establishing correlated measurable results in Execution, Relationships and Deliverables that provides organizations an accurate and meaningful snapshot by which to leverage improvement efforts. 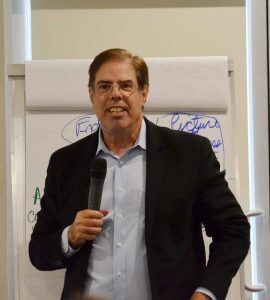 Based on Mark’s unique approach for diagnosing root causes for the most complex organizational challenges and his rapid approach to achieving unparalleled and sustainable business results, Mark’s workshops are attended by the most seasoned Senior Consultants and Executives. 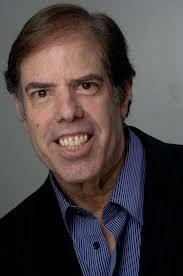 An award-winning speaker, Mark has addressed national conferences of ASTD, AQP, ODN, ASHHRA and ISPI. He has moved audiences in Europe and North and South America to effective action with his engaging, inspirational, humorous, interactive and thought-provoking presentations. Mark’s work has effected long-term positive, profitable improvement in companies worldwide, including The Royal Bank of Canada, Winnipeg Regional Health Authority, Enbridge, Pacific Seafood, Chevron Corporation, American Express, Genentech, Kaiser Permanente, Roche Pharmaceuticals, Fairchild Semiconductor, Honda Corporation, Texas Instruments, AMGEN, The GAP, Baxter Pharmaceuticals, Hewlett-Packard, Ameren, Florida Power & Light, City of Red Deer, The University of California at Berkeley, Habitat for Humanity, Hilmar Cheese, Southern California Edison, Pemco Insurance, Michelin Tires, Paris, France, Siemens, and many more. Mark holds a Bachelors Degree in Social Science (Applied Statistics) and a Masters Degree in Management, with a special emphasis in Organizational Development, both from the University of California, Irvine; and a Masters Degree in Applied Psychology from the University of Santa Monica, in Santa Monica, California. Click here to request more information on Mark’s services or call 323.969.0088.